This is a 2-hour course that is held on the warm Lake Windermere. Start times are daily at 10am and 1pm. Stand up paddle boarding is a fun activity that requires balance, technique and a fun attitude! Don’t get pushed around by the wind, waves or current! Take a course and build the technique it takes to get where you want on the water. 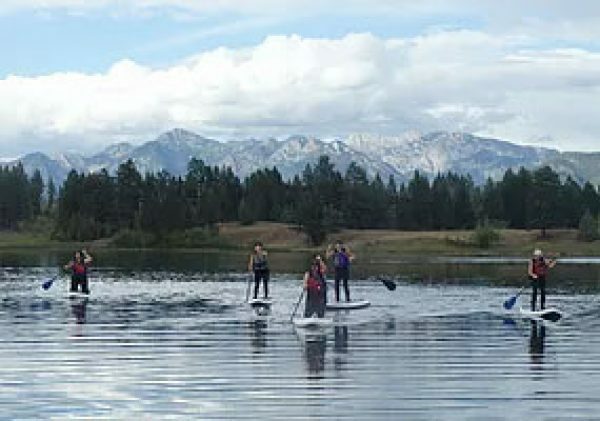 You will learn strokes and manoeuvres on your stand up paddleboard and by the end will have learned board positions, changing directions, going in a straight line, and we will challenge those who learn quickly come find out how!